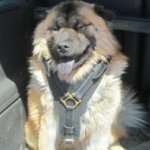 Eurasier dog breed is ideal for recreationists and sports fans. 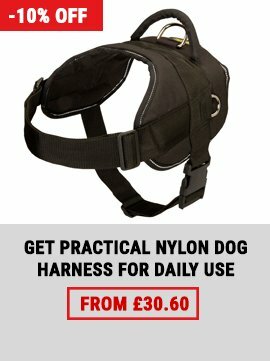 You can train the dog to agility and frisbee, in winter you can engage it in sled dog sports, and in summer the dog will go hiking or run along a bike with great pleasure. 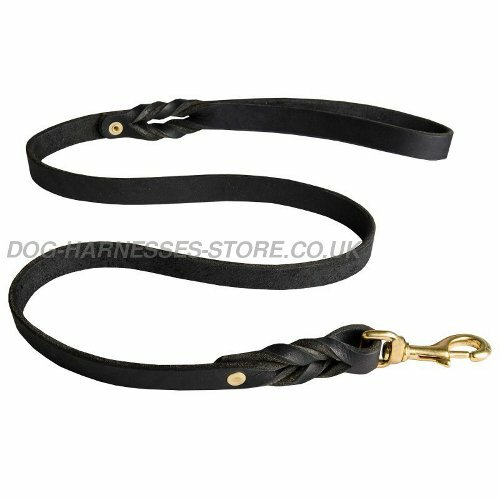 Be persistent, but not hard-edged when you train Eurasier dog because of its strong-willed and wayward temper. 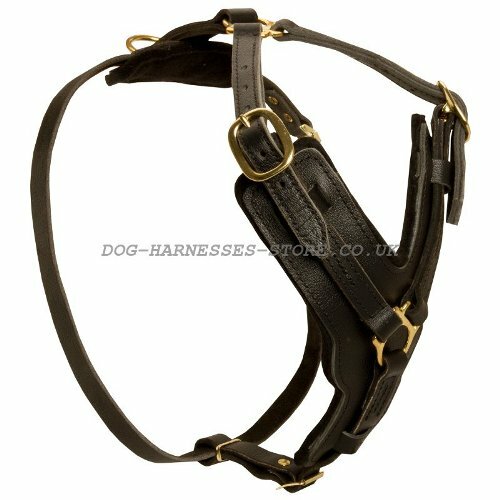 A well-bred Eurasier dog will be a perfect companion for you. It's a true friend, which is ready to follow its owner everywhere. 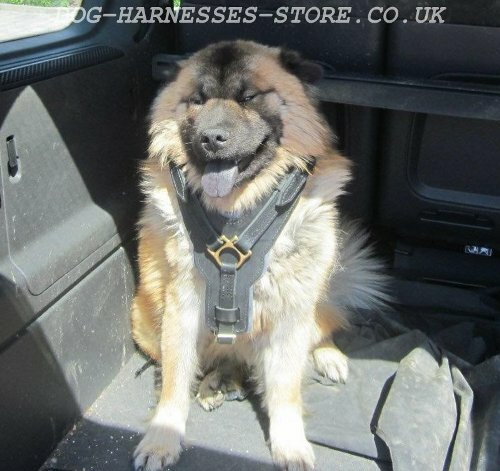 The harness we offer for Eurasier dog is strong, hard-wearing and very convenient gear for such dogs. 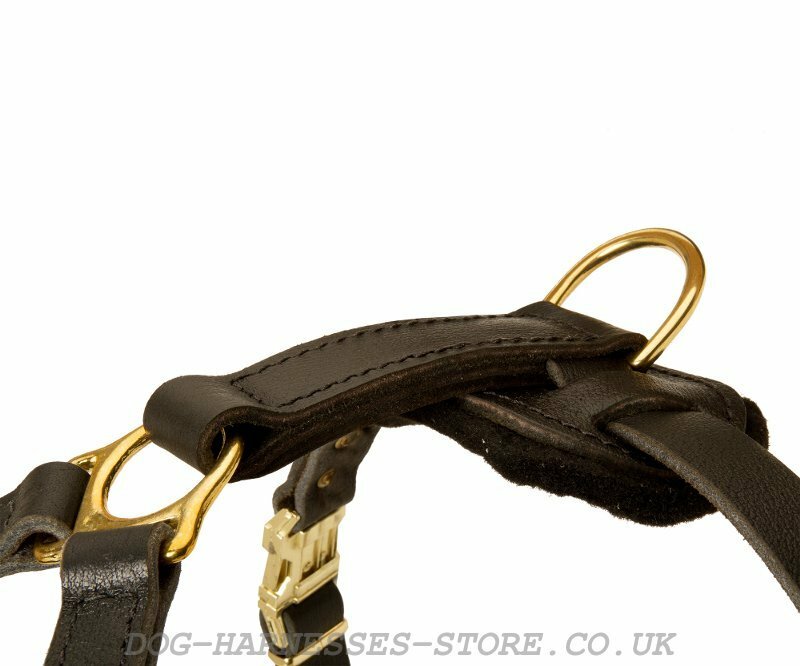 It's handmade of quality thick genuine leather, lined with felt on the chest and back plates, equipped with solid and luxury looking brass details, reliably stitched and intended to give maximum comfort for your dog and convenience for you. 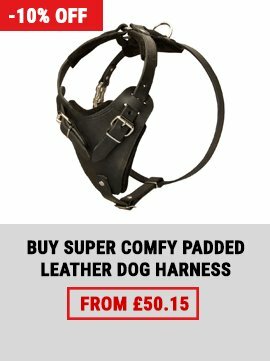 This strong leather dog harness is intended for hard loads, so you can walk and train your Eurasien dog without fear of loosing control over the dog. 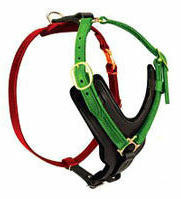 Every detail in this luxury padded leather dog harness is designed for comfort and reliability. 1. 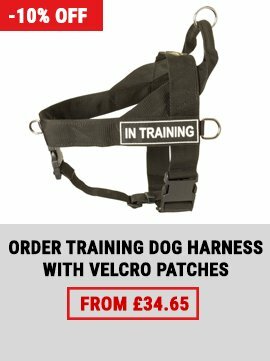 We have got the harness today, everyting is OK. Choose a suitable dog leash for your Eurasier dog in our online store. I got the parcel at the customs with no trouble. The harness is rather heavy for large dog, but it is perfectly processed and fits ideally. There is enough space for growing.